Here’s a “home bird” for your company. The sea green bird showpiece will make sure it always give you company when you’re home. 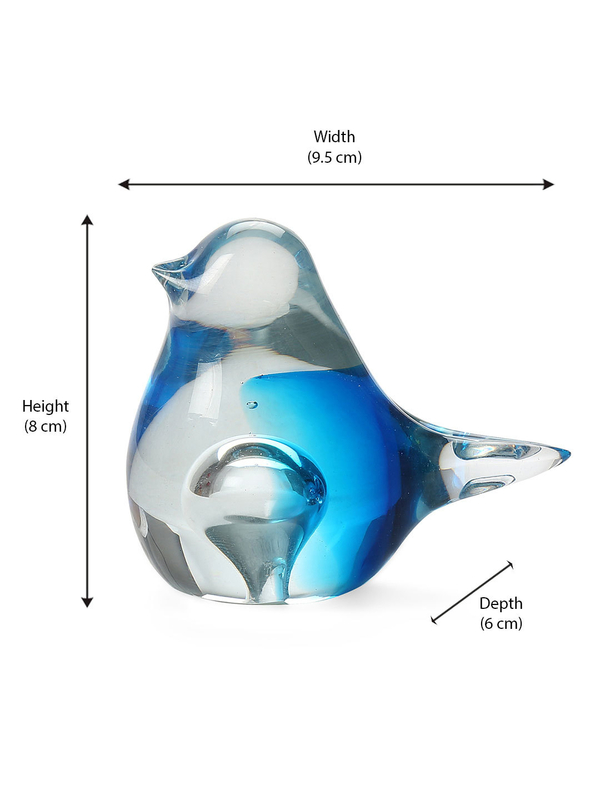 Made of glass, it lends itself well to all kinds of home décor styles. Make it a part of the bookshelf or the display cabinet, it is small and pretty enough to blend in well with all kinds of spaces. The sea green colour brings a calming vibe to your space. Make it yours or gift it to a friend, it will always be a sweet company.